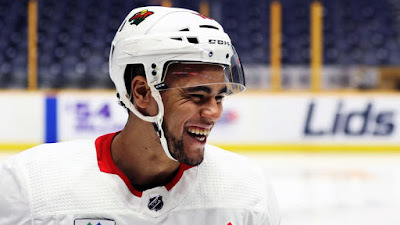 Two days after the final game of his three-year BU career, Jordan Greenway is poised to take the ice tonight for the Minnesota Wild and become the 82nd Terrier to reach the NHL. Greenway, who signed a 3-year entry level contract with the Wild on Monday, is in Nashville for Minnesota’s game against the Western Conference-leading Predators. He is expected to be at left wing on a line with 41-year old center Matt Cullen and former Terrier Charlie Coyle. Freshman Brady Tkachuk, with assists in both NCAA Regional games, earned Hockey East Rookie of the Week honors. Greenway, Drew Melanson and Bobo Carpenter all were named to the weekly Top Performers list. ►BU moved up two spots to #11 in the USA Today/USA Hockey Magazine weekly poll. 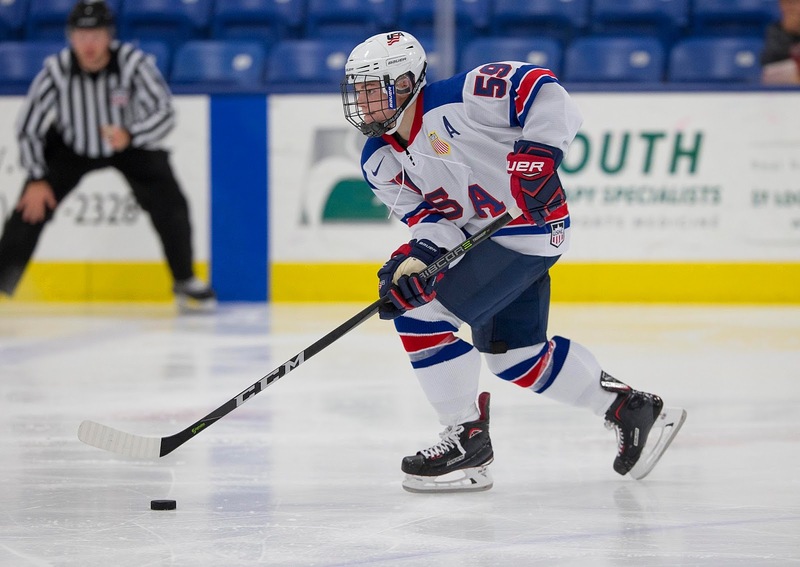 2019 recruit Trevor Zegras scored a goal and assisted on three more scores as the NTDP U17s dropped a 9-6 decision to Chicago. Zegras is third on the U17s with 51 points (17G, 34A). Defenseman Alex Vlasic scored his eighth goal for the U17s, while fellow recruit Robert Mastrosimone had a goal and an assist for the Steel and now has 38 points (14G, 24A). ● USA Hockey recap and box score. Jack Eichel scored a pair of goals, including the third-period game-winner, as Buffalo edged Toronto, 3-2. 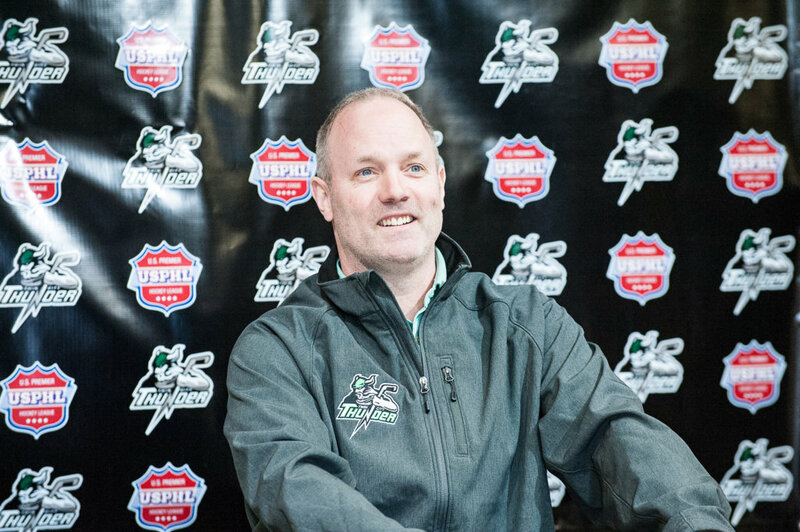 Former Terrier captain Doug Friedman has been named head coach of the new USPHL Twin City Thunder franchise in Auburn, Maine. He had been head coach and athletic director at the Kents Hill School since the 2014-15 season. Friedman also spent a season at the helm of the Portland Junior Pirates. A walk-on who, as a freshman, played 36 games for BU’s 1990-91 NCAA finalist squad, Friedman scored 105 points (43G,62A) in his four year Terrier career and played in three Frozen Fours (’91, ’93, ’94). Drafted by the Quebec Nordiques, his seven-year professional career included stints with the Edmonton Oilers and Nashville Predators.